It rained pretty heavily last night with some lightning, so it turned out to be a good thing we weren’t working. We called the hotline in the evening, but they said they would assess and post by 4am, but with the amount of rain we had I couldn’t imagine working the next day. Still that requires that one of us gets up at 4am and checks the hotline. Kind of a bummer, but probably for the best because we don’t want our sleep schedule to change that much. It’s worse for Kyle and Jenny on nights. They were called off last night as well, but it’s tough for them to find stuff to keep you awake when nothing in town is open. Even the casinos here close at 2am. Speaking of which, Jen has her casino trips down to a science. She spends $2 on nickel slots and can sit for a couple of hours drinking free diet cokes and eating free snacks. It’s a budget friendly thing for them to do though and when their $2 is gone they go home, I’m just not sure I have that kind of self-control. Lee got up at 4am to check the message, they said call back at 6 and then said call back at 8. He let me sleep until 6:15am which was nice, but then we had to shower and get ready. We weren’t sure if the message would say come in now, with the expectation we would be dressed and ready to go or give us a time. At 8am we called back and were told to report at noon, so we did have plenty of time to get ready. Since I had some extra time I thought I would respond to feedback from folks and give more detail on the process. 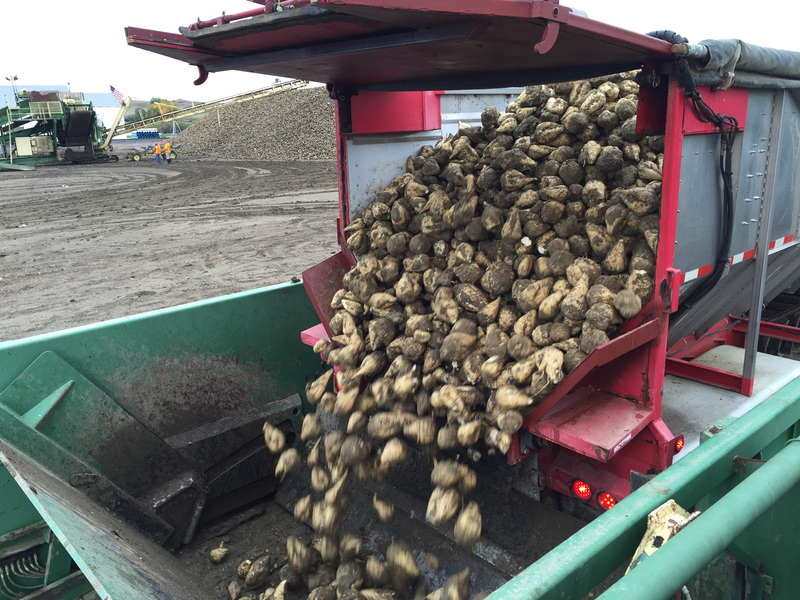 First off the beets are white, sugar beets (not the red kind people eat) and they are used to make sugar. That’s the tail end of the overall process and we don’t see any of it, but I have heard it is similar to how they get sugar from sugar cane. A pulp is created from the beets, then dried, and sugar is extracted. That’s all I know. We were told that that some of the end product ends up in white sugar packets, but the bulk off it is purchased by commercial companies who need sugar in their products, like Coke or Pepsi . We are more at the front end of the process and it goes like this. 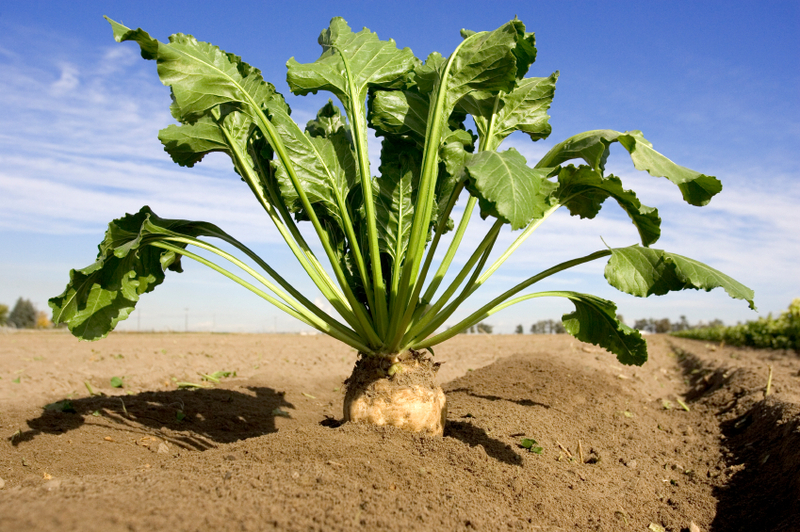 This is a sugar beet. The farmers dig up the beets. They use a beet harvester. 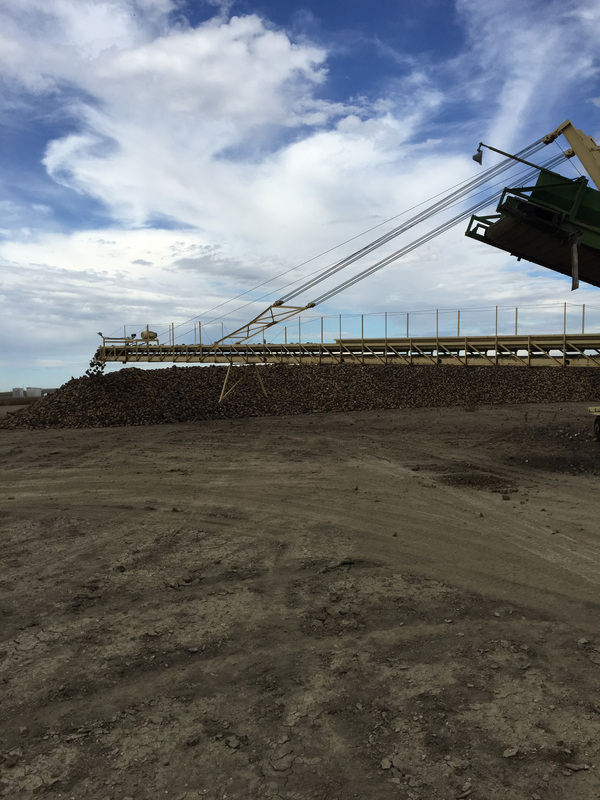 Sugar beets are root tubers, and grow underground, and the timing of when they are harvested is done in conjunction between the farmers and the Agriculturist from Sidney Sugars, Catherine. 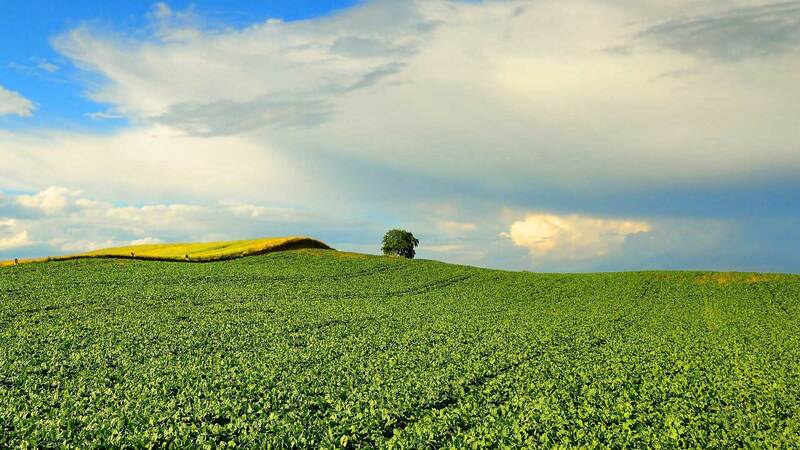 They can’t be dug up if it is too hot or too cold, or the fields are too muddy. The tops are trimmed off in the field and loaded into trucks, either 10 wheel dump trucks or tractor trailer bin trucks. We don’t do any of that, it’s done by the farmers and then driven to Sugar Valley by employees or contract drivers, and once it gets to our piler yard, our process begins. First, the trucks drive up to a scale and a scale house, and are weighed and given an unloading ticket. (More on the ticket later) Then the trucks drive into the yard, which is about 2500 feet long, and about 1000 feet wide, on which there are 6 “lanes”, at the end of each is a piler. At the moment, the pilers and the piles we just started are all the way at the opposite end of the yard from the scale houses, but by the time we are done, the pilers and piles will be right next to the scale houses. The truck drivers choose a piler, and a side (the pilers operate two sides, left and right), and drive up to it, where they wait their turn to be waved ahead. Once they get the go ahead, they drive over the hopper (the doors/gates are down), and stop. The gates are raised, creating the “hopper” and then the driver is directed to back up until his rear wheels are just touching the shorter gate, so his rear end is hanging over the hopper. 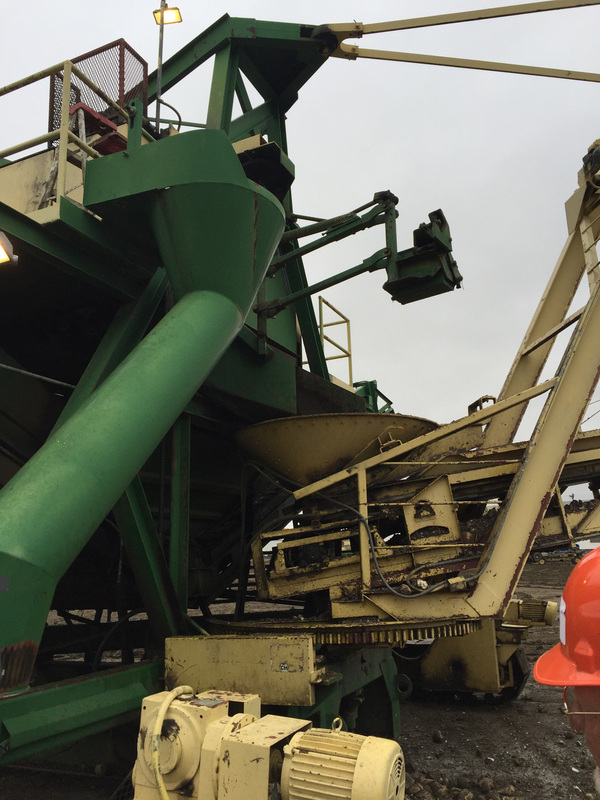 As you can see, at the bottom of the hopper is a conveyor belt, and once the truck is in position, the driver is instructed to either lift his dump truck, just a little, or open the rear door on his bin trailer. The dump trucks are hinged at the top, and once they are lifted, all the weight of the beets pushes the door open and the beets just started spilling out, so we start slow otherwise the beets will fill the hopper and overflow, and will then need to be picked up by hand, which is not fun. Truck gate Lifts and beets come out. 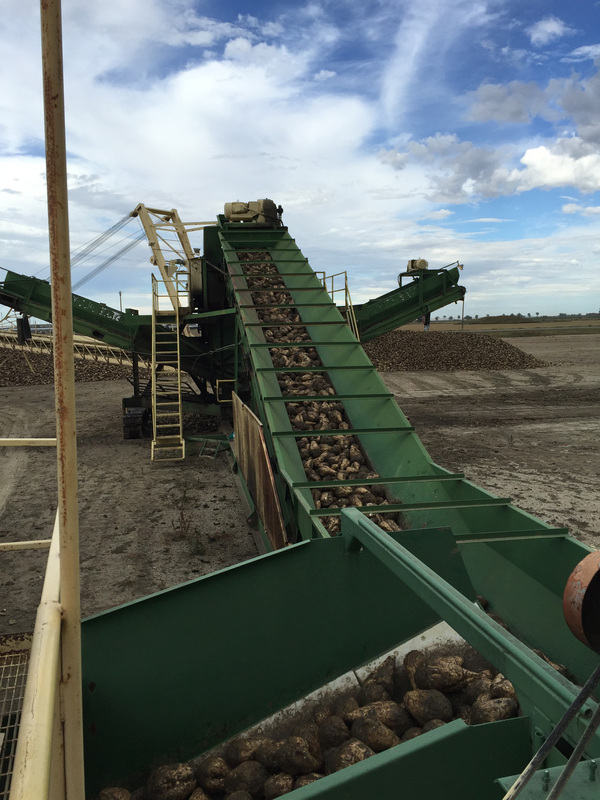 This bin-type truck has a conveyor belt of its own which pushes the beets out. 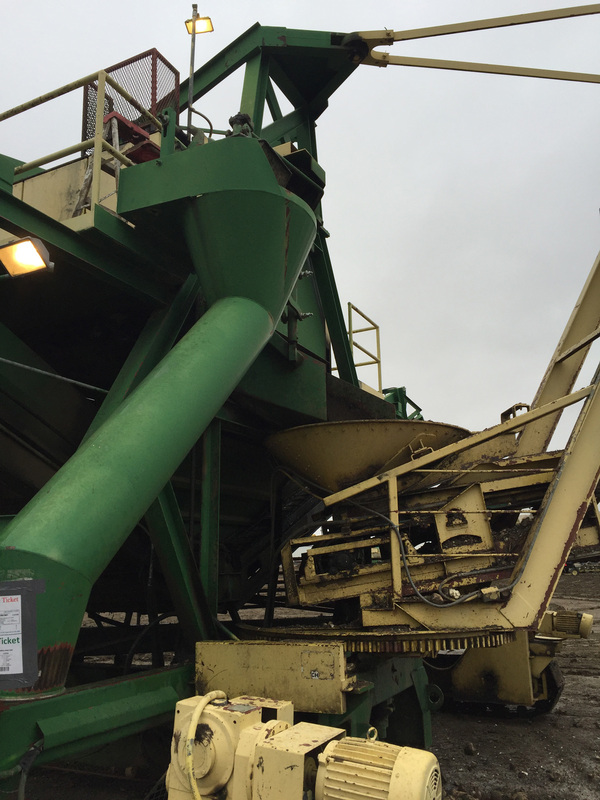 The beets go up that short hopper belt and are dumped onto the main conveyor, which runs perpendicular to the hopper belt. 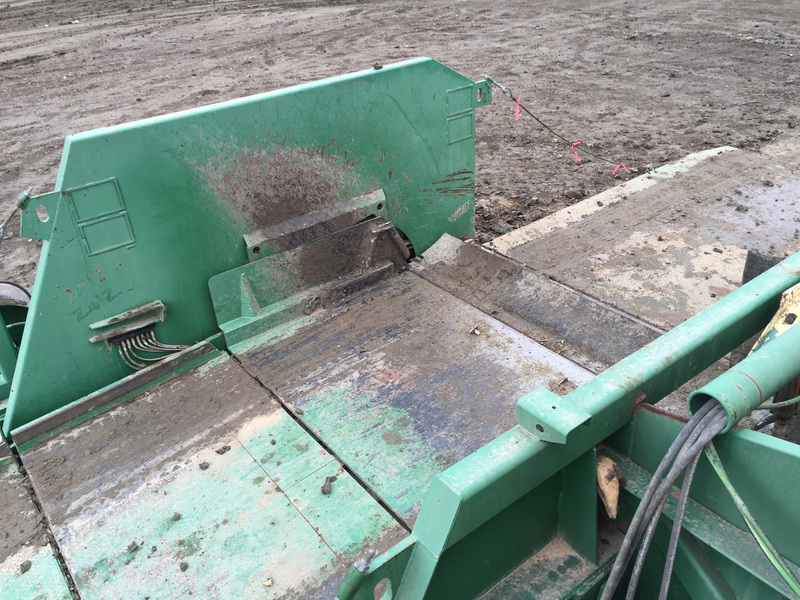 The main conveyor takes them up to about 12 feet, and dumps them into a screening area, which is a series of rollers that knock most of the dirt off onto a holding tank. Then they go up another conveyor belt on the boom, which then dumps them down on to the pile. At the very beginning, the boom is parallel to the ground at about 6 feet, but as the pile grows, it’s lifted up to a final height of 18 feet. The boom also swings left and right, creating a semicircular pile. Once the pile gets close to touching the boom, the system is shut down, and all of the components of the rig are lifted with hydraulics, and then giant tracks like a tank have can roll the entire rig backward about three feet and we continue the pile. So at the end of the harvest, there will be a pile about 2000 feet long, and about 200 feet wide, and 18 feet high. That’s a bunch of beets. 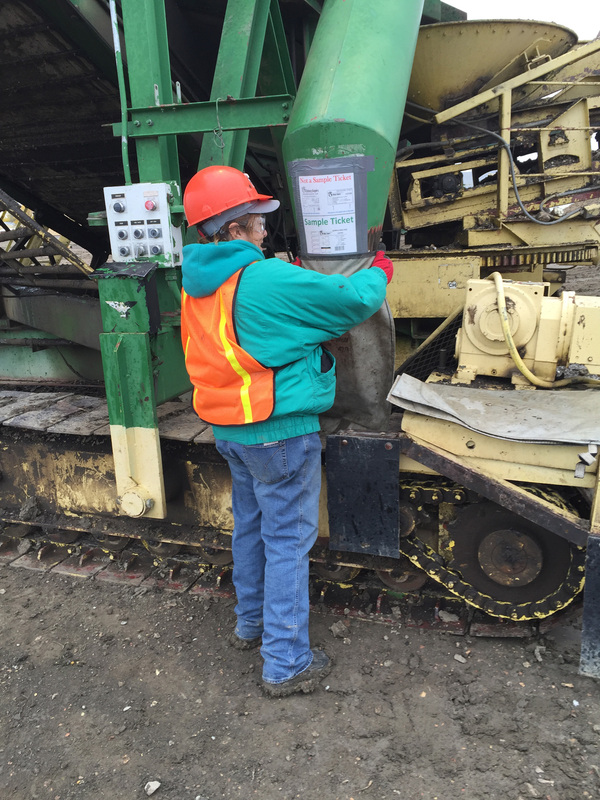 While the beets are on the conveyor belt we get a ticket from the driver and if it is a certain type of ticket we have to take a sample. The farmers get paid based on weight and sugar content and the samples are tested in the lab and determine the sugar content. No clue how that works, it’s done in a different place. The only reason we pilers care about the samples is because it adds an extra step to our process. Essentially when the beets are traveling down the conveyor belt, a mechanical arm grabs some and puts the “sample” down a funnel, which you catch in a burlap bag at the end. Sounds easy, but you need to make sure you get beets from the right truck so you really can’t dawdle. Plus the beets come down in a rush and it’s hard to hold the bag in place. I just don’t like it because the beets hit fast and you have to hold on hard to keep the sack on. 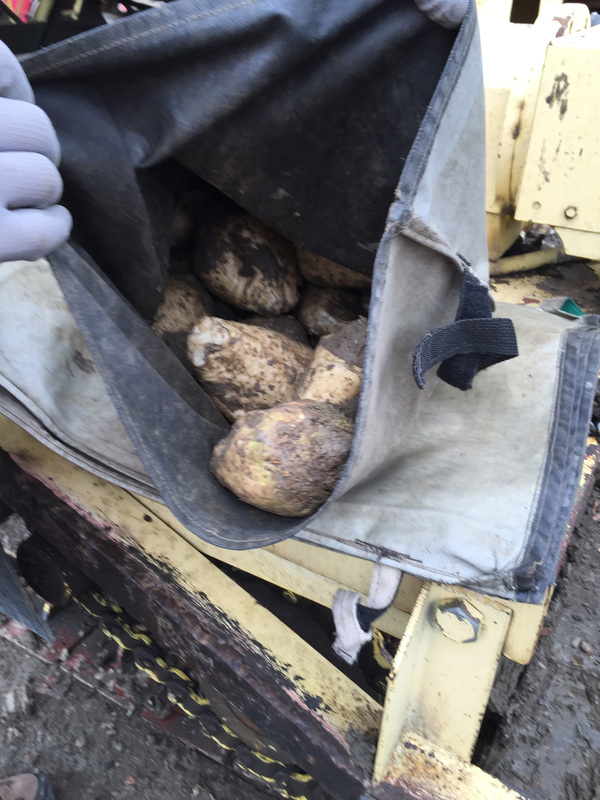 Then you carry the sack over to the sample cart. Once the truck is empty, it pulls forward under another belt which is attached to the dirt holding tank. 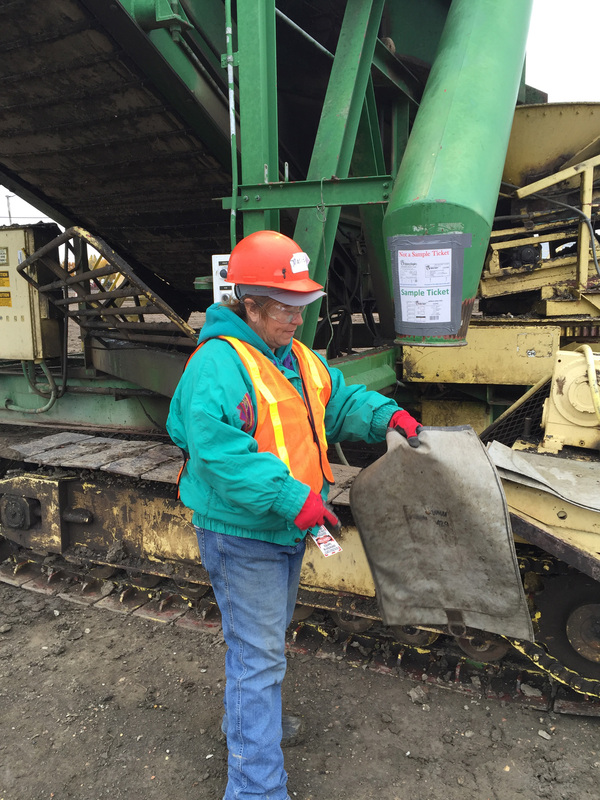 Then we dump the dirt back into their truck so they can be weighed on the way out. 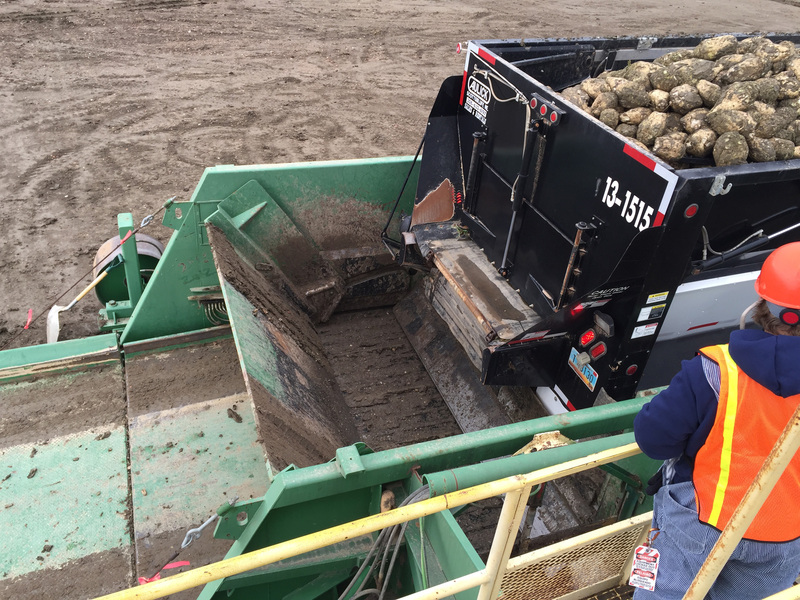 The farmers are paid based on a variety of factors, and one of them is how much dirt comes along with the beets, so that weight is subtracted from their starting weight. 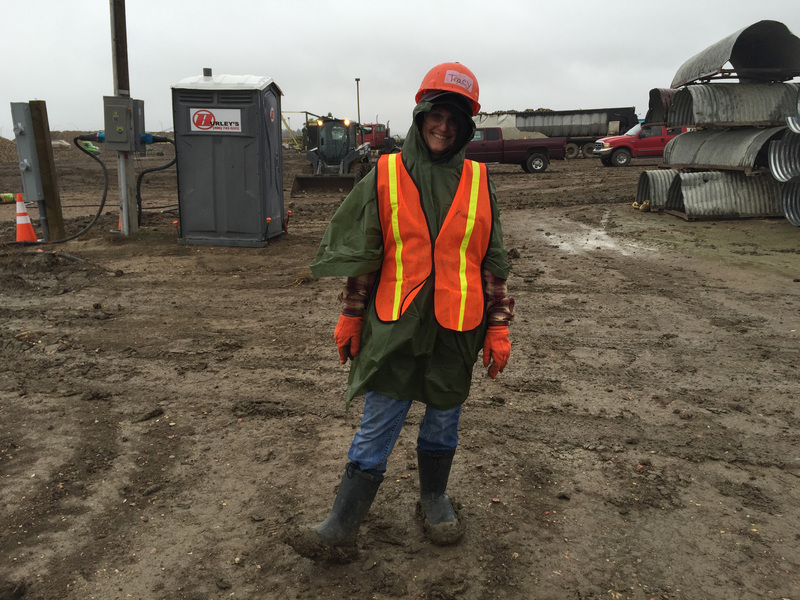 Check out the amount of mud on my boots. It was several inches thick. I woke up at 3am and got up to let Lee sleep. When I walked outside to smoke it was 37 degrees, very windy, and miserable. My first thought was: I really hope we don’t have to work in this. I am no stranger to the cold. I lived in New Hampshire for 13 years and as a smoker went outside in all kinds of weather, but there is a big difference between standing outside in cold for 5 minutes and doing it for a 12 hour shift. This was my biggest concern all along, the weather impact. I understand why people do this though. Yesterday Piler 4 was down and that work crew was sent to other pilers. I spent some time talking to Mike who has been full timing for 10 years. Over those 10 years he has done every kind of work to supplement his retirement and this is his fourth beet harvest. Prior to this he worked Amazon for 3 years and MUCH prefers the beet harvest. Mike spent many years working for himself and hated the micromanagement of the Amazon environment. Here at the beet harvest, he comes out and does his thing, with minimal oversight. Compare that to mandatory “rah-rah”speeches (his words) and stretching and exercises of Amazon, and for him it is no contest. I get it. I like the relaxed atmosphere as well and the level of respect we are all treated with. I just don’t know if I can hack the weather, but if these cold temperatures persist I am certainly going to find out. Thankfully not today. We called at 8am and the message said it was too windy to run the boom and the grounds were too muddy, so no work for safety reasons. As Lee said, we went from “We’re bored” to “Thank God we don’t have to work” in less than 24 hours. 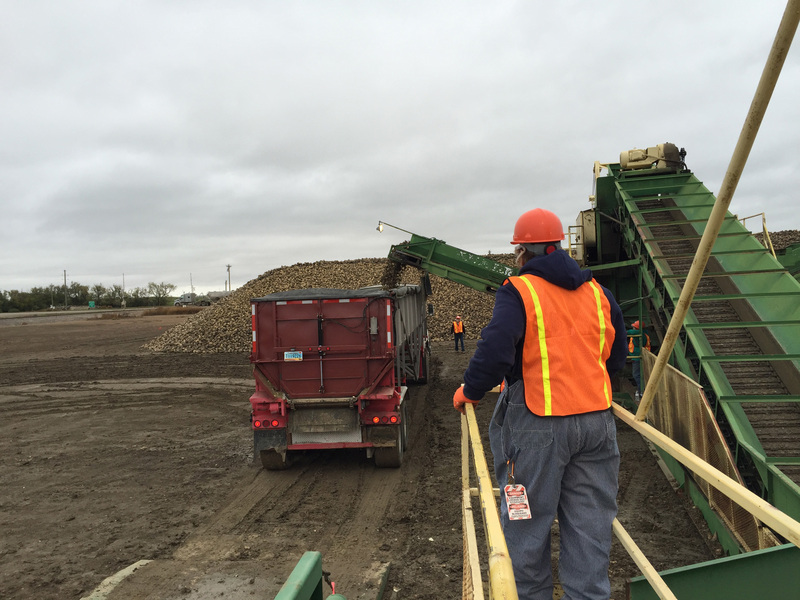 This entry was posted in Lakeside and tagged Sidney Beet Harvest, Sidney Sugar Beets, Sugar Valley. Bookmark the permalink. Very interesting, A lot goes in to this to get your sugar.I could easily handle the schedule after working at power plant for 28 years. But, my physical condition would stop me. (22) artificial knees, Plural thickening of lungs from asbestos. Really nice company to work for. Show up and stby time. God be with you both.A lot different than your Alaska job. I love it that you are willing to try different things.All are temperary.So it will only be a short time..Whats up next? I truly ment Two artificial knees,not 22. In working the harvest in Moorhead/Glendon. I hadn’t heard about the “stay pay.”. How did you find out about that? Hi Jerry, the foreman told us in our orientation. Thanks for the explanation! The process is not that different from the sugarcane process, except that once the sugarcane harvest begins (it began Monday) the farmers work 7 days a week, no matter what the weather, until they harvest all their cane or the mill closes. Each farmer has a quota that they must haul each day so that the mill has enough cane to grind and keep running. It’s hard work, just like what you’re doing. Makes me appreciate that sweet, sweet sugar even more!